Nunes to send 8 criminal referrals to Barr this week. 1) The Windmills of your Mind... meets Mockingbird? This could be saying that as the frequency of our minds increase we are killing Mockingbird Main Stream Media? 2) From multiple Q Posts we have "When does a bird sing"... do I recall correctly that there was a CIA programme or system called Windmill? If so, then maybe its a threat to anyone who leaks to black hats? 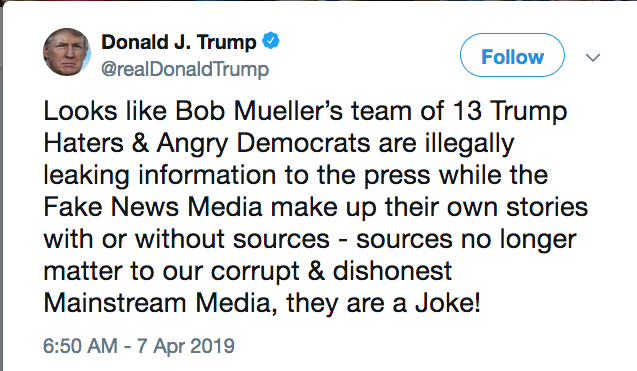 Interesting phrasing here: "...Bob Mueller’s team of 13 Trump Haters & Angry Democrats..."
Is that 13 total? 13 of each? 13 Total Trump-Hating Anti-America Angry Azzhole Democrats. Initial filing this week. Up to 24 individuals ultimately. What happened to the criminal referrals sent in April 2018? It's too bad none of the conservative media remember this, and ask these Congressmen about it. Until you learn the status of the 2018 referrals, Nunes could be (with much fanfare) flying into the same brick wall. pteridine, it depends how you read "ahead of schedule" - as real time or as Qclock time? If being "ahead of schedule" translates to "wind the markers forward" 4 days on the Q clock then April 3rd on original schedule becomes April 7th in terms of comparing 2018 posts to 2019. I agree that it could be either and we wont know until future proves past, I guess. 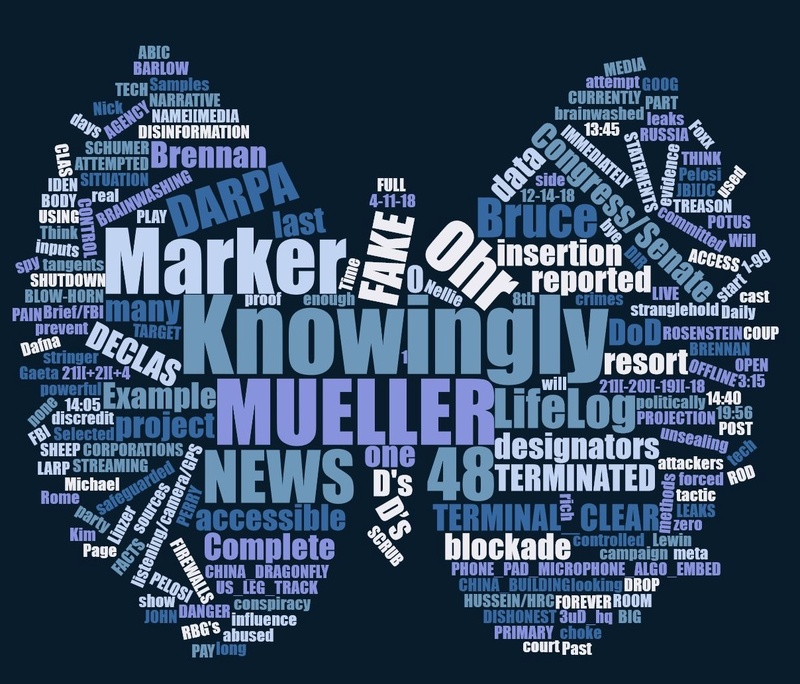 All Q drop names, words & numbers in [ ]. Names, words, numbers repeated more than twice. 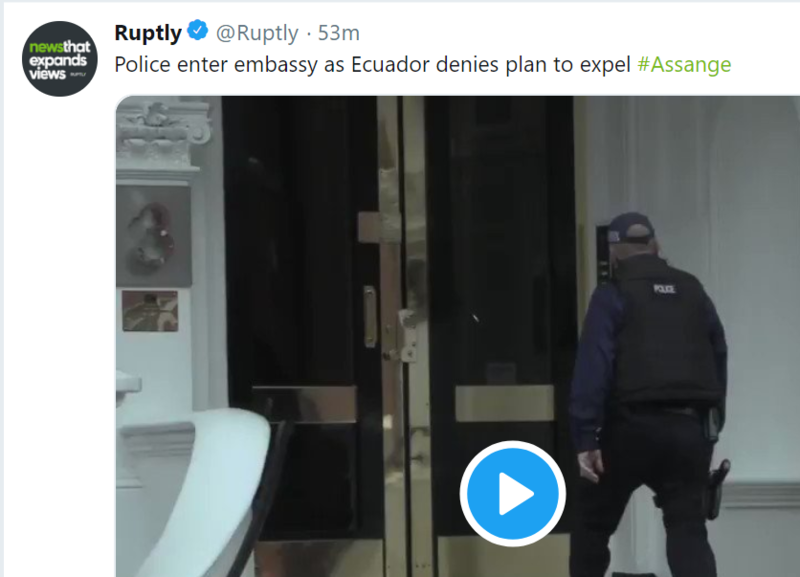 Given DECLAS is coming this seems an odd invite to me. Cancer (zodiac): June 22 - July 22 (starts the day after summer solstice). The German word Müller means "miller" (as a profession). It is the most common family surname in Germany, Switzerland, and the French départements of Bas-Rhin and Moselle (with the spelling Müller, Mueller or Muller) and is the fifth most common surname in Austria (see List of most common surnames in Europe). Other forms are "Miller" (mainly Southern Germany, Austria and Switzerland) and "Möller" (Northern and Central Germany and The Netherlands). Of the various family coats of arms that exist, many incorporate milling iconography, such as windmills or watermill wheels. Now put this together with my thoughts from previous post re meaning of Trump's windmill remarks!